but I still lavish more butter on mine. in the Dallas-Fort Worth area. By far, the best croissants are from France. a hot chocolate or café au lait. There is no comparison to authentic French croissants. Where did we get those delectable croissants above? The ones that practically fill a plate by themselves? How could frozen croissants be good? Worthy to be fresh from ...gasp... France! Were these shipped from France? As seen in the Christmas catalog. any kind from Williams and Sonoma. I thought I had the problem fixed. my posts not being delivered to your email. 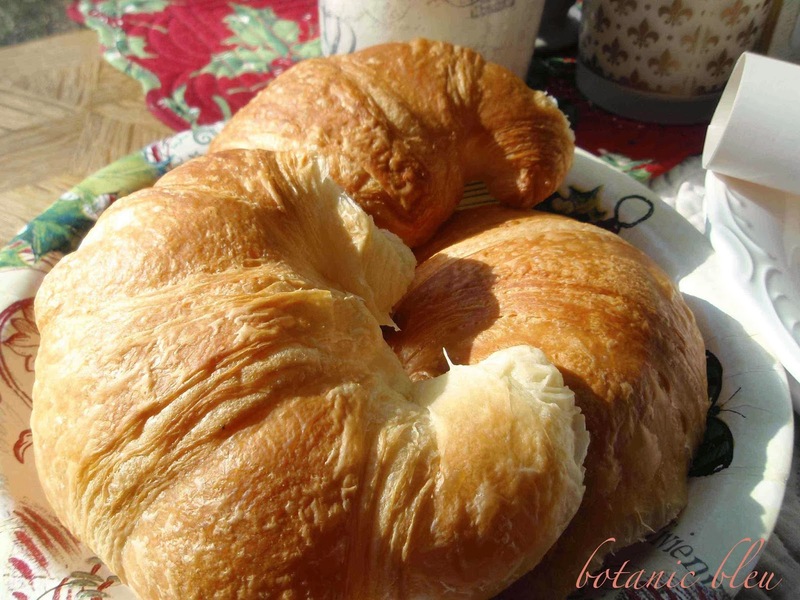 Strong, hot coffee, one of those croissants, European butter (yes, it tastes better!) and fresh, strawberry jam - heaven! You know how I feel about anything French baked! So blessed to tasted the real deal at 17 and 43. As always, you speak perfect French with your images! Oh, that croissant looks so yummy I could reach right into the screen and grab it. 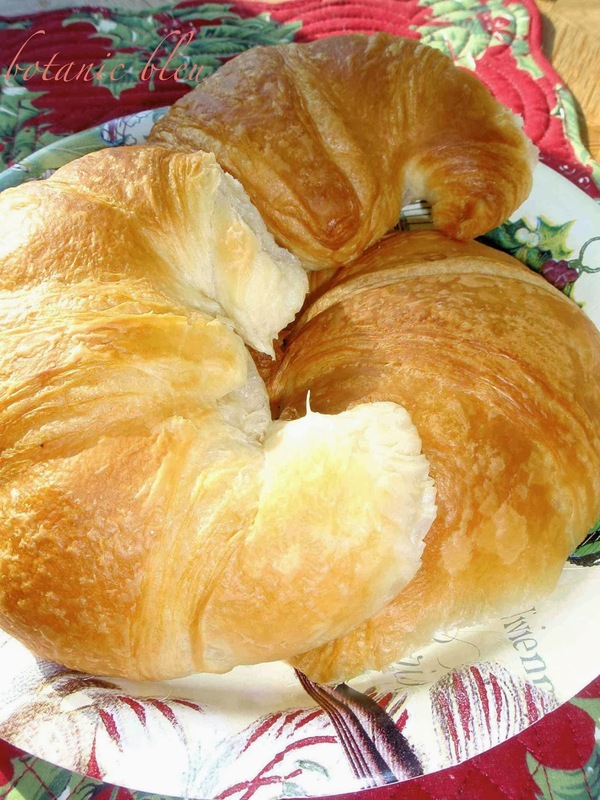 We can get good croissants here at a French bakery, but of course they are not as good as the ones in France. I've had problems with Blooger/Feedburner updating my posts since Oct. I've given up. Oh, they look so yummy! 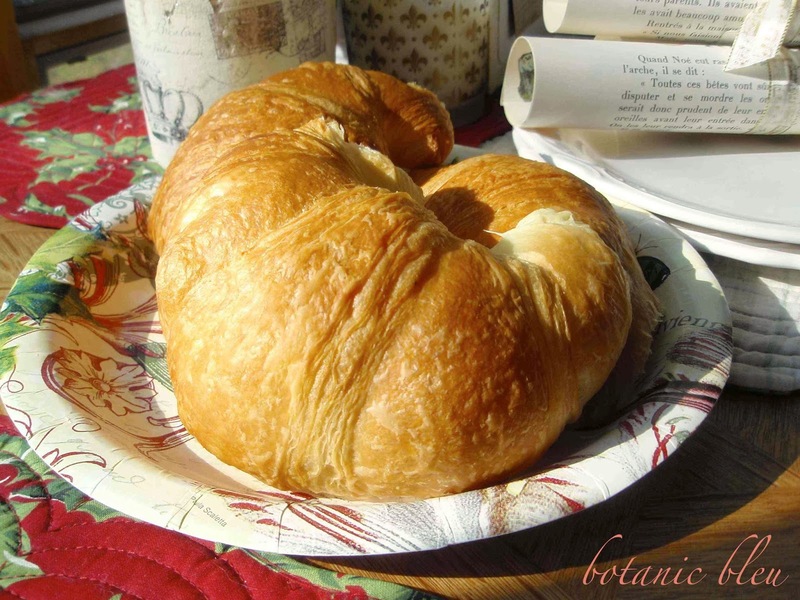 I have not had any from France, but croissants are a favorite -- I love the way they look, smell and especially taste! Thank you for sharing the source of the frozen variety! Have a wonderful day!